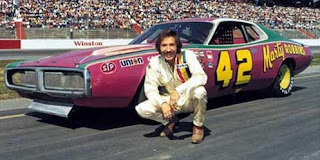 On May 5, 1972, Marty Robbins picked up the 1st last-place finish of his NASCAR Winston Cup Series career in the Winston 500 at Talladega when his unsponsored #42 1972 Dodge was disqualified after he completed 179 of 188 laps. The finish came in Robbins’ tenth series start. By 1972, Robbins was a household name in two different, but at the time, very similar circles. In the postwar years, he came to prominence as one of the most popular and beloved country music stars of his time. Performed during his regular appearances at the Grand Ole Opry in Nashville, Tennessee, the singer-songwriter’s most famous ballads included “El Paso,” his first song to top the pop charts, the Grammy Award-winning “My Woman, My Woman, My Wife,” and “Big Iron,” which has since been covered by many of his contemporaries. In 1966, Robbins discovered another love in his life: NASCAR racing. He made his series debut on July 30, 1966 at the Nashville Fairgrounds near the Grand Ole Opry, finishing 25th in a field of 28 in a race won by Richard Petty. By 1971, he expanded his new hobby by running on a number of the series’ fastest tracks, including Charlotte, Atlanta, Darlington, and the old Texas World Speedway. He fielded his own fuchsia -and-yellow Dodges prepared by veteran car owner Cotton Owens and began to earn a number of surprising finishes. He came home 7th in the 1971 Southern 500 and 8th at the sprawling 2.5-mile Ontario Motor Speedway early in the 1972 season. Ever the playful type, Robbins had a prank in store for the 1972 Winston 500 at Talladega, his first start at NASCAR’s biggest track. Though modern restrictor-plate racing was still another fifteen years away, the sanctioning body was already playing with the idea, and all 50 starters would have plates in their cars. Wanting to see what it was like to run with the leaders, Robbins found a way to make his plate come loose and fall into the carburetor, allowing him to run the event 15mph faster than he had in practice. The plan worked, and to the surprise of the crowd, he zipped to the lead pack, trailing David Pearson, Bobby Isaac, and Buddy Baker. In the final laps, he thought about taking the lead, but wasn’t comfortable with going 200mph into a corner for the first time in his life. So he pulled the car into pits, leaving him 18th, nine laps down. Impressed by Robbins’ performance, NASCAR offered to give Robbins with the “Rookie of the Race” award, including a $250 prize. But, by Robbins’ admission, he was “illegal, but not cheating,” a distinction drawn as he didn’t intend to get away with it. When he brought his carburetor to the attention to of NASCAR inspector Bill Gazaway, Gazaway wasn’t pleased. He disqualified Robbins from the event, classifying him last in the field, and fined him $1,300. At first, Robbins wasn’t bothered. “I didn’t want the money, points or anything,” he said. “It was worth it. In fact, I’d have paid (the fine) for a picture of Joe Frasson’s face when I passed him.” But in an interview years later, he seemed embarrassed over the issue: “I learned that what I did that day, I hurt some people’s feelings, you know, like Bill Gazaway, Len Cooper, the drivers. They didn’t really like what I did, but they did admire me for turning myself in.” Ironically, Robbins already had a fast car - when the plate was in place, he qualified 9th. Before the penalty, the last-place finish for the day was originally going to go to Anniston, Alabama driver Bill Ward, who started last in the #53 Hopper-Crews 1972 Ford and fell out with an oil leak. It was Ward’s third of seven career starts, all of which came at the Talladega Superspeedway. He finished a career-best 11th in the 1969 inaugural when the big names went on strike, driving a #81 Chevrolet for owner Bill Hemby. The disqualification lifted Bill Ward to 49th. Finishing 48th was Robert Wales, who three laps after Ward fell out with an oil leak of his own on his #63 Pleasant Grove Union 1970 Dodge. Wales’ only two Cup starts came in that year’s Talladega races - he would finish last after a Lap 2 engine failure that August. 47th belonged to veteran owner-driver Neil “Soapy” Castles, who was running his 15th of 19 years on the tour. Castles retired in 1976 to become a car owner, having never won in 498 career starts, third-most of all winless drivers behind J.D. McDuffie (653) and Buddy Arrington (560). Rounding out the Bottom Five was Glen Allen, Virginia driver Bill Dennis, the 1970 Rookie of the Year, driving a 1970 Plymouth for owner Don Robertson. Another interesting side note to the race was the driver who finished 38th. A 25-year-old racer from Tennessee named Darrell Waltrip was making his first NASCAR start that day, driving a #95 Terminal Transport 1971 Mercury. Waltrip lost an engine after 69 laps. Robbins remained a fan favorite in NASCAR and continued to impress on the sport’s biggest tracks. Just one year later, he finished 8th in the Medal of Honor Firecracker 400 at Daytona, then in 1974 scored a career-best 5th at Michigan, trailing Richard Petty, Earl Ross, David Pearson, and Gary Bettenhausen. His 35th and final NASCAR start came on November 7, 1982 in the season finale Atlanta Journal 500, his first race at Atlanta in eleven years. Robbins, now driving a Buick, finished 33rd that day in a field of 40. Tragically, just one month later, Robbins died from complications from heart surgery. He was 57. Robbins’ legacy lives on today, both in music and in racing. The 420-lapper at the Nashville Fairgrounds, where Robbins made his Cup debut in 1966, was in 1983 renamed the Marty Robbins 420. 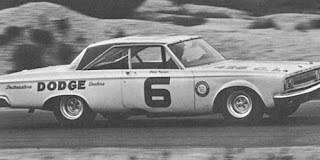 Ray Evernham, former NASCAR crew chief and team owner, acquired an old Plymouth Belvedere that Robbins raced on the short tracks. Evernham and artist Ken Binkley, who painted the very same car decades earlier, completely restored it. For more on Robbins and his racing career, check out this video featuring interviews with the man himself. *This was the first last-place finish for the #42 in a Cup race since July 10, 1963, when Richard Petty won the pole at the Savannah Speedway in Savannah, Georgia and led the opening 6 laps, but crashed his 1963 Plymouth after 38 of 200 circuits. In a career spanning 1,184 races, this was one of the 61 times Petty did not race the #43 and one of the 29 times he ran his father’s #42 instead. He also ran the #142, #2, #24, #41, #42A, and once ran D.K. Ulrich’s #6 following a practice crash at Charlotte in 1986. *This was the first time a driver was classified last in a Cup race since September 13, 1968, when David Pearson’s #84 1968 Ford finished on the lead lap with Bobby Isaac during the Maryland 300 at Beltsville Speedway in Beltsville, Maryland, but had his finish taken away because the car was too light. It was Pearson’s second disqualification of the season and came in the only race where he didn’t drive for Holman-Moody that season. That day, Pearson drove a car Roy Trantham wrecked during his NASCAR debut at Darlington earlier that month. By the time it arrived in Beltsville, Trantham’s car was found to be too light, bringing about the disqualification. Pearson more than made up for the setback - the Darlington race was one of 16 victories he claimed en route to his second of three championships. Richmond was another green-flag affair, and despite their poor finishes, all of the Open teams finished within 10 laps of the race leader - that is, except one, who found himself bumped from the field in the first qualifying session of consequence since the Daytona 500. Ryan Blaney vied for the Top 15 in the early going, but struggled once he lost a lap to the leaders and never contended for the victory. He did, however, show deference to the leaders by pulling low on the track with seven laps to go, letting Kyle Busch and Carl Edwards wage war for the victory. 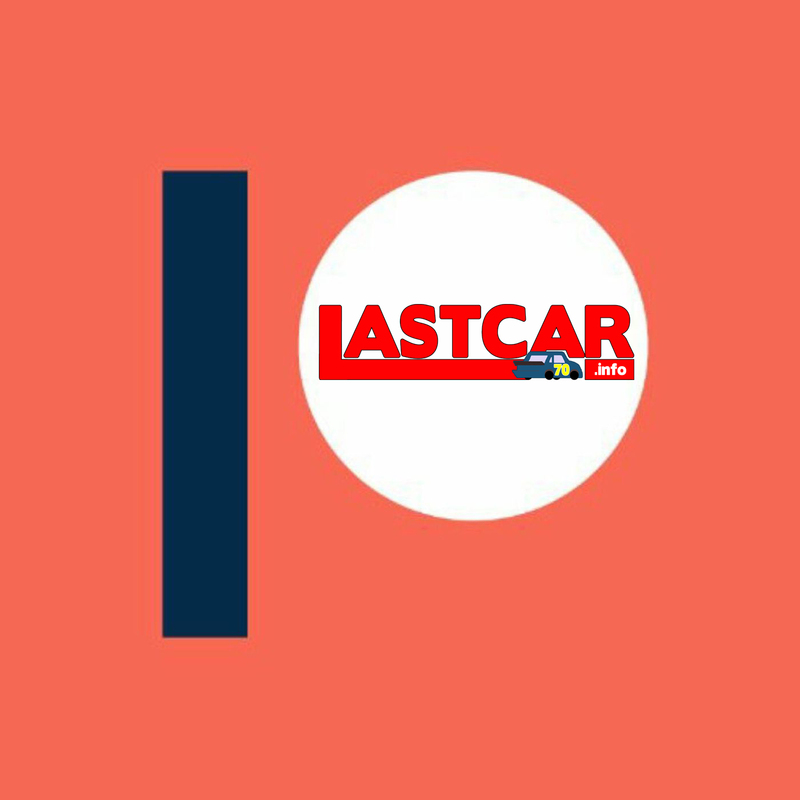 Blaney had just returned to the lead lap before the final sprint to the checkers, having taken the wave-around, and ended up the second car one lap behind following fellow Ford driver Landon Cassill. Next Sunday will be Blaney’s fourth Cup start at Talladega, site of his career-best 4th-place finish in this event one year ago. It will also be the 87th Talladega start for the Wood Brothers, who have scored five wins, 18 Top Fives, 30 Top Tens, and six poles on the superspeedway. 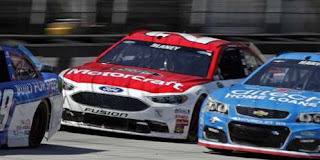 The team has not won on the track since NASCAR downsized its cars to the current wheelbase - their fifth victory came with the late Neil Bonnett on August 3, 1980. Ellis squeezed his way into Sunday’s field by virtue of a determined run during Friday’s opening practice, where he edged Cole Whitt by less than one-tenth of a second for the 37th spot. A washout in qualifying sent Whitt home as a result, securing Ellis his first Cup start since last fall’s rain-shortened race at Phoenix. Like the rest of this week’s group of Open teams, Ellis lost a lap early and struggled the rest of the afternoon, ultimately moving out of the way of the leaders in the final laps. Ellis was also spun by Landon Cassill on the Lap 327 restart, but avoided serious damage to his car. It was a new career-best finish for Ellis, who came home 40th in last fall’s 43-car field. Ellis has just one Talladega start in NASCAR’s top three divisions - the Truck Series race on October 18, 2014, where he scored a 23rd-place finish driving for Jim Rosenblum’s FDNY Racing. The #93 BK Racing team also finished last in this year’s Daytona 500 with Matt DiBenedetto. Ellis and the #93 are not entered at Talladega as DiBenedetto retains his #83. This week, Josh Wise avoided the wrecks that damaged his #30 the previous two races at Texas and Bristol, but still ended up on the exact same lap as last-place finisher Reed Sorenson. At the same time, the team is already making plans for the rest of their first full-season run. TMG is currently holding a fan poll to decide which “throwback” #30 scheme to run at Darlington: Michael Waltrip’s 1988-1989 Country Time Lemonade Pontiac or Dale Earnhardt’s 1976 U.S. Army Chevrolet. Like Blaney, Wise also earned his career-best finish at Talladega, which came just last year. That day, Wise finished 10th in the #98 Royal Teak Furniture Ford - just as his Phil Parsons Racing ride was sold to Jay Robinson’s Premium Motorsports. While The Motorsports Group has never made a Cup start at Talladega, the team did finish 12th with Scott Wimmer in the 2012 XFINITY Series race and 18th with Wise in 2013. Sorenson finished last in Sunday’s race, his second in a row. For more, see his LASTCAR.info feature. In ten previous starts at Talladega, Sorenson’s best finish was a 10th in the fall of 2007, the first restrictor-plate test for NASCAR’s “Car of Tomorrow.” He also finished 14th in his most recent Cup appearance there, when he drove for Tommy Baldwin Racing on October 19, 2014. Sorenson will concede his Talladega ride to Michael Waltrip, the 2003 fall winner. Ryan Ellis’ gain in Friday’s practice was Cole Whitt’s loss, and Premium Motorsports’ #98 ended up missing its first race since the Daytona 500. Another restrictor-plate challenge awaits next week at Talladega, where Whitt ‘s best finish in six previous Cup starts was a 13th in last year’s running for Front Row Motorsports. The remaining four Daytona 500 DNQs did not attempt Richmond, but David Gilliland and his repaired #35 will return at Talladega, keeping the entry list at 41 cars. Reed Sorenson picked up the 12th last-place finish of his NASCAR Sprint Cup Series career in Sunday’s Toyota Owners 400 at the Richmond International Raceway when his #55 ChampionMachinery.com Chevrolet finished under power, 10 laps down, after 400 laps. The finish, which came in Sorenson’s 238th series start, was his second in a row. 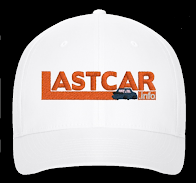 He is now tied with Josh Wise for the lead in the 2016 LASTCAR Driver’s Championship. Sorenson remained the driver of Premium Motorsports’ second team, but by Friday found himself the lone Jay Robinson entry in the field. For the first time since the Daytona 500, more than 40 cars entered the race with the return of BK Racing’s #93 with Ryan Ellis as the 41st. This meant the fastest four Open teams would make the race. In Friday’s opening practice, where Sorenson timed in 35th, Ryan Ellis turned 21 laps to the 14 made by Sorenson’s teammate Cole Whitt in the #98. On Ellis’ 16th lap, Ellis edged ahead of Whitt for the 37th position. Unfortunately for Whitt, rain washed out qualifying, meaning that the field was set by practice speeds - including the fastest four Open cars in practice. Under the old rules, where practice speeds only locked-in a portion of the field, Whitt would have made the race based on attempts. But this year, an Open team can make the field simply by being one of the fastest four in pre-qualifying practice, meaning that Ellis was in and Whitt was out. Sorenson remained 35th with his practice lap of 121.250 mph. In a curious twist, the 40th starting spot went to Michael Annett, the beneficiary of the charter medallion Premium Motorsports sold to HScott Motorsports before the start of the season, thus denying Whitt a guaranteed spot in the first place. One week after driving with smoke in the cockpit at Bristol, Annett had wrecked on the backstretch during practice without turning a lap. It was not a positive sign for Annett, who had also crashed out and finished last in the series’ most recent trip to Richmond last September. Prior to the start of Sunday’s race, Annett was joined by Clint Bowyer, whose #15 5-Hour Energy Chevrolet was already 39th before the team changed transmissions. Bowyer held 40th on the first lap, Annett on Lap 2, and Sorenson on Lap 3. Sorenson became the first of many cars to lose a lap during the first 157-lap green-flag stretch when he was passed by race leader Jimmie Johnson around Lap 25. Josh Wise, last in the previous day’s XFINITY race, took 40th from Sorenson on Lap 28, followed by Chris Buescher during the first round of green-flag stops on Lap 86. Annett retook the spot on Lap 88, followed the next time by with Wise, now three circuits behind. When the first caution finally fell on Lap 158, Wise still held the spot and was now five laps back. Under this caution, Sorenson took the spot for good - a cut tire on the #55 on Lap 252 put him two laps behind Wise, and it wasn’t until the end of the race that both were on the same lap, ten behind. This marked the second time in 2016 that all the starters finished the race under power (the other being Atlanta in February), and the first time it has happened at Richmond since September 7, 2008 - a race that was also run during the daytime. Behind Sorenson and Wise in 38th was Jeffrey Earnhardt, who equaled his season-worst 38th-place finish during the last green-flag gauntlet at Atlanta in Go FAS Racing’s #32 Visone RV / Corvettepats.net Ford. 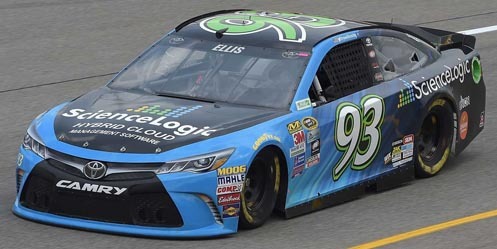 37th went to Ryan Ellis, who stayed out several laps during the first green-flag pit stops, then spun off the nose of Landon Cassill on Lap 327 in his #93 ScienceLogic Toyota. 36th went to Annett, who came home six laps behind in HScott’s #46 Pilot / Flying J Chevrolet. *This was the first last-place finish for the #55 in a Sprint Cup race at Richmond since September 10, 1989, when Phil Parsons’ #55 Crown Petroleum Oldsmobile crashed with Dale Jarrett on Lap 4 and completed just 8 circuits of the Miller High Life 400. *This was Sorenson’s first Cup last-place finish at Richmond since September 8, 2012, when his #91 Plinker Tactical Chevrolet lost power steering after 57 laps of the Federated Auto Parts 400. Josh Wise picked up the 5th last-place finish of his NASCAR XFINITY Series career in Saturday’s ToyotaCare 250 at the Richmond International Raceway when his unsponsored #93 RSS Racing Chevrolet fell out with transmission issues after 7 of 149 laps. The finish, which came in Wise’s 146th series start, was his second of the season and first since Texas, two races ago. Edged by 17 laps for his second-straight last-place finish at Bristol by Matt DiBenedetto, Wise returned to the second RSS Racing entry for Richmond, again as a team driver to Ryan Sieg. This set the preliminary entry list at 41 entries - until TriStar switched Jeff Green from their #10 to the #14 previously driven by J.J. Yeley, temporarily placed Matt DiBenedetto back in the #10, then withdrew the #10 altogether. This meant that Wise would be guaranteed a starting spot in both the heat races and the main event even before time trials. Wise impressed with a 14th-fastest lap in the lone practice session, but when qualifying was rained-out, he remained 19th on the grid for the 20-car Heat Race #2. Wise pulled off the track after 8 laps, securing him the 40th and final spot for the main event. In this, too, he exited in the early stages, pulling behind the wall after 7 laps to secure the last-place finish. Finishing 39th was Morgan Shepherd, who bounced back from three consecutive DNQs to make the show in his #89 Racing With Jesus / Courtney Construction Chevrolet. Shepherd pulled off the track after 12 laps with suspension issues. 38th went to the #40 Motorsports Business Management Dodge of Carl Long, who in four XFINITY starts this season has finished in every position inside the Bottom Five except 40th. 37th went to Jeff Green, who made it more than half distance in TriStar’s #14 before brake issues ended his day. Rounding out the group was Mike Harmon, whose tangle with Erik Jones on Lap 127 damaged Harmon’s black unsponsored #74 Dodge. Ryan Sieg, Wise’s RSS Racing teammate, finished 21st and slipped just one position to 12th in the point standings. Wise went on to finish 39th in Sunday’s Cup race driving The Motorsports Group’s #30 Curtis Key Plumbing Chevrolet. He finished on the same lap as last-place finisher Reed Sorenson’s #55 ChampionMachinery.com Chevrolet (LINK), but was denied his second last-place sweep of 2016. *This is the first last-place finish for both Wise and the #93 in an XFINITY Series race at Richmond. On Sunday, February 23, 1986, Eddie Bierschwale picked up the 2nd last-place finish of his NASCAR Winston Cup Series career in the Miller High Life 400 at the Richmond Fairgrounds Raceway when his #48 Fleet Service Chevrolet lost the engine after 2 of the race’s 400 laps. The finish, which came in Bierschwale’s 33rd series start, was his first in 20 races, dating back to May 19, 1985, when his #6 U.S. Racing Chevrolet lost an engine after 73 laps of the Budweiser 500 at Dover. In the Bierschwale family’s hometown of San Antonio, Eddie’s father Donald was active in many circles: he was at one point a rodeo clown, a funeral director, owner of a limousine service, and served in the Army during the Korean War. But he was perhaps most passionate about racing. 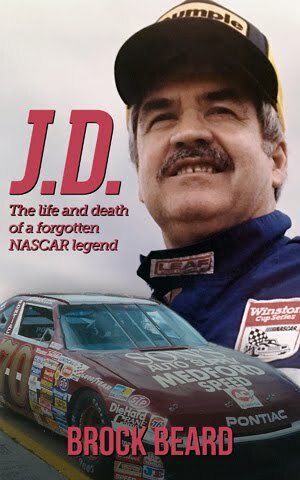 Eddie was raised around B-B Racing, a NASCAR team Donald co-founded with E.J. Burke, Jr. in 1971. The team’s best performance came at Talladega on May 6, 1973, when fellow Texan driver Clarence Lovell finished 4th in a field of 60. Tragically, Lovell was killed in a car accident just five days later. On March 27, 1983, Eddie Bierschwale made his first Cup start in B-B Racing’s #03 Indian Hill Park Buick, which he drove to a 26th-place finish in the Coca-Cola 500 at the Atlanta Motor Speedway. In 1985, Bierschwale left the family team and signed with veteran owner-driver D.K. Ulrich at U.S. Racing for a full-season run. After missing the opening two rounds at Daytona and Richmond, Bierschwale ran the rest of the season, earning a season-best 15th in the spring races at Atlanta and Bristol. Saddled by 11 DNFs in those 26 starts, Bierschwale signed with C&M Motorsports, a new start-up team founded by Bobby Eller. Eller brought a new sponsor into NASCAR: the Kodak Film Company, which in time would adorn the iconic Chevrolets of Morgan-McClure Motorsports. Bierschwale arrived at the Daytona 500 with a butterscotch-colored Pontiac Grand Prix 2+2, but a 16th-place showing in the Twin 125s put him out of his second-straight 500. An arrangement was then struck with another owner-driver, Henley Gray, whose driver Slick Johnson had raced their #54 Chevrolet into the 500 field. Eller bought Johnson’s spot, and the #54 now carried the Kodak logos. Bierschwale drove the car to a 31st-place finish after the engine let go at the halfway mark. The next round of the 1986 schedule was Richmond. Two years removed from its expansion to the three-quarter-mile oval of today, the Richmond Fairgrounds Raceway was a 0.542-mile bullring ringed by steel traffic barriers. Here, Bierschwale and Eller again missed the field, and again had to buy their way into the field. This time, the buyer was still another owner-driver, James Hylton, whose west coast driver Ron Esau put the #48 into the show. With the driver change, Bierschwale would roll off 31st - shotgun on the field. Missing the Richmond race along with Esau were owner-drivers Ronnie Thomas, Jonathan Lee Edwards, and Alan Kulwicki. Kulwicki was finding his first full Winston Cup season a challenge. Kulwicki had also missed the first two races of 1986, but could not afford to buy a spot in either, putting him in a deficit in the Rookie of the Year battle against Michael Waltrip. Kulwicki would bounce back and claim the title from Waltrip, then hoist the Winston Cup in 1992. Two laps into the opening green-flag run, Bierschwale pulled Hylton’s Chevrolet into the garage area. He thus avoided involvement in two multi-car accidents that slowed the action and thinned the field in the opening 19 laps. The next two retirees after Bierschwale were the #15 Wrangler Ford of Ricky Rudd and the #17 Skoal Oldsmobile of Phil Parsons, both eliminated on Lap 18 when 4th-place Darrell Waltrip spun into traffic coming off Turn 3, triggering a 13-car melee. This caution resulted in two iconic NASCAR moments: Bill Elliott’s wrecked #9 Coors Ford straddling the guardrail and Dale Earnhardt leaning out the driver’s winder to wipe the windshield with his hand. Harry Gant, who also suffered right-front damage to his #33 Skoal Bandit Chevrolet, later retired with overheating issues, leaving him 28th. 27th-place Kirk Bryant crunched the right-front and left-rear of his #2 Spectrum Furniture Pontiac in the first yellow of the day when he tangled with three other cars on Lap 9. The 24-year-old Bryant, making his second of five career Cup starts, was clipped by the spinning Trevor Boys and pinched into the outside wall. The race was capped with one of the most thrilling finishes in NASCAR history. With two laps to go, race leaders Dale Earnhardt and Darrell Waltrip tangled in Turn 3, triggering a six-car pileup that also collected the 3rd and 4th-place cars of Geoffrey Bodine and Joe Ruttman. Missing the wreck was Kyle Petty, who’d left Petty Enterprises to drive for the Wood Brothers. Petty’s No. 7 7-11 Ford took the yellow and white flags together and claimed the win under caution. It was not only Petty’s first Cup victory, making him the first third-generation driver to win at the same track as his father and grandfather, but the second and - to date - most recent Richmond victory for the Wood Brothers. Bierschwale, meanwhile, parted with the struggling C&M Racing after Darlington and continued to driver for a number of different teams for the next two seasons, including Elmo Langley, Roger Hamby, Buddy Arrington, Corey Fillip, Ken Allen, George Smith, and Cup driver David Ragan’s father Ken. Though he improved his career-best with Hamby, finishing 11th in the series’ return to Richmond in September 1986, he decided to return to his family’s team in 1988. Strangely, Bierschwale’s connection with the Pettys continued through the close of his own career. In 1989, B-B Racing earned its first top-ten finish since Lovell’s run at Talladega when the team sold Bierschwale’s Daytona 500 ride to Kyle Petty, who had failed to qualify after he wrecked out of his qualifying race. Bierschwale then relieved an exhausted Richard Petty at Daytona in July 1992, parking his car to climb in Richard’s #43 before falling out himself. Bierschwale’s 117th and final Cup start was also the last for “The King” - the season-ending Hooters 500 at Atlanta, where Bierschwale came home 19th in a field of 41. *Bierschwale finished last just once more in his career, and in the same event as his first. On June 5, 1988, Bierschwale’s #23 Wayne Paging Oldsmobile dropped a valve after 15 laps of the Budweiser 500 at Dover. 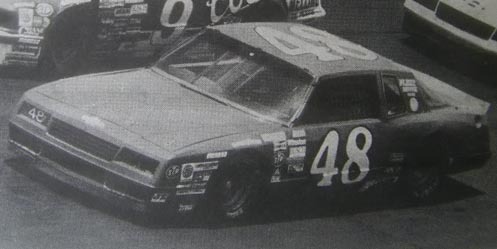 *This was the first last-place finish for the #48 in a Cup Series race since April 18, 1982, when Slick Johnson’s turn in Hylton’s #48 Palatine Auto Parts Pontiac ended with a broken valve after 8 laps of the Northwestern Bank 400 at North Wilkesboro. The number would not finish last again until June 3, 1990, when Freddie Crawford’s lone Cup start ended when his Josiah Chevrolet, also fielded by Hylton, dropped a cylinder after 6 laps of the Budweiser 500 at Dover. While there were many happy stories from Sunday’s battle at Bristol among mid-tier Chartered teams, the four Open drivers found themselves in much the same position. Again, the group was led by Ryan Blaney, who this time posed a serious threat for his first Sprint Cup victory at a track where the Wood Brothers had won just once before. Ryan Blaney has been knocking on the door all season, but at Bristol, he pounded harder than before. He put the #21 Motorcraft / Quick Lane Tire & Auto Center Ford 18th on the grid, but was as fast as 14th in practice. He hovered near the Top 10 early on, then began to make his move near the halfway point. On Lap 206, he was up to 4th, and following the Lap 227 restart for David Ragan’s blown engine, he shot up to 2nd behind race leader Carl Edwards. Though Blaney never led, he remained in 4th when the next-to-last caution flew for Michael Annett’s spin on Lap 486. Only two last-minute restarts dropped him to 11th at the finish for his third-best finish of the season. Next Sunday will be Blaney’s first Cup start at Richmond, though he has never finished outside the Top Ten in four XFINITY starts there with a career best 4th in the fall of 2014. It will be the 59th Cup start at Richmond for the Wood Brothers, where they haven’t raced since Bill Elliott’s 35th-place finish in the fall of 2008. The Woods have two victories at the track, both on the old fairgrounds track: Speedy Thompson in 1960 and the thrilling first victory for Kyle Petty in 1986. Cole Whitt remained a solid second in class among the Open teams, but faced greater difficulty remaining on the lead lap on the tiny short track. Whitt lost his first lap to the leaders on Lap 26, but held off Dale Earnhardt, Jr. for the Lucky Dog on Lap 71. The leaders caught him again near the one-quarter mark, but on Lap 153, he was again in position to take the Lucky Dog, but slowly lost circuits from there. Again, Whitt left the track with his car in one piece, at times getting attention for new sponsor Pugs, whose sunglass and outdoor apparel company adorned the #98’s hood for the first time in 2016. Though four laps down at the finish, the 28th-place showing was his second-best of the young season, two spots behind his 26th at Fontana. Whitt has never finished better than 30th in his five previous Cup starts at Richmond, which came when he drove for BK Racing in the fall of 2014. Premium Motorsports hasn’t finished better than 37th in its only two starts back in 2014. 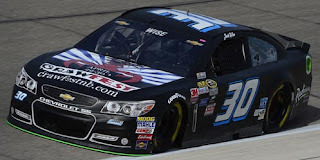 Unlike Whitt, Josh Wise and The Motorsports Group left Bristol with their black #30 Chevrolet battered and taped. Wise’s race didn’t start that way - he actually climbed from 35th on the grid up to 29th, adopting Whitt’s strategy to remain on the lead lap as long as possible. On Lap 39, when Whitt had already been lapped, Wise and Danica Patrick did their best to keep race leader Carl Edwards behind them. Once Edwards did get by, Wise did his best to stay out of the way, but soon found that impossible. On Lap 331, Wise slid up the track in Turn 1 and slammed the outside wall, scraping up the right side and damaging the left-rear. Debris from his car drew the caution, and the #30 was on and off pit road for the rest of the race. Wise’s best finish in seven Cup starts at Richmond is a 28th in the spring of 2013, when he drove for Front Row Motorsports. Prior to this season, this spring Richmond race was the scene of The Motorsports Group’s most recent Cup start - a 40th-place finish (out of 43 starters) with all-time last-place leader Jeff Green. Sorenson finished last in Sunday’s race, the first for Premium Motorsports since expanding to two cars. For more, see his LASTCAR.info feature (LINK). Sorenson is set to make his 17th Richmond start next Sunday, where his career-best is a 12th for Chip Ganassi in the spring of 2008. The five teams which last attempted the Daytona 500 were again absent from Bristol, but next week Ryan Ellis is expected to make his first Cup attempt of the season in BK Racing’s #93. Reed Sorenson picked up the 11th last-place finish of his NASCAR Sprint Cup Series career in Sunday’s Food City 500 at the Bristol Motor Speedway when his #55 ChampionMachinery.com Chevrolet fell out with suspension problems after 169 of 500 laps. The finish, which came in Sorenson’s 237th series start, was his first of the season. It was his first Cup last-place run in 118 races dating back to November 4, 2012, when his #91 Humphrey-Smith Racing Toyota had electrical issues after 6 laps of the AAA Texas 500 at the Texas Motor Speedway. The 30-year-old Sorenson has remained the very definition of a journeyman driver, moving between multiple small teams in NASCAR. Following his departure from Humphrey-Smith at the end of 2012, he split his time in 2013 between Leavine Family Racing in Cup, running The Motorsports Group’s flagship #40 in XFINITY, and relieving an injured Michael Annett at Richard Petty Motorsports. His efforts secured him a full-time Cup ride driving the #36 for Tommy Baldwin Racing in 2014, finishing a season-best 14th at Talladega despite limited funding. 2015 began with Sorenson as the Cinderella story of Speedweeks when his new ride at Xxxtreme Motorsports raced a backup #44 Chevrolet into the Daytona 500 field after a costly qualifying crash. A detour to RAB Racing turned out to be frustrating as Robby Benton’s #29 Toyota failed to qualify for four straight races, and by summer, Sorenson found himself at Jay Robinson’s Premium Motorsports. Curiously, the cars Sorenson raced at Premium were once the same Chevrolets he drove at Baldwin in 2014: Robinson acquired the #36 team over the following offseason. Premium sold off its charter from Phil Parsons Racing prior to the 2016 season, forcing former Front Row Motorsports driver Cole Whitt to qualify the #98 on time. Short fields since the Daytona 500 have allowed the team to make every race since. Early this month at Martinsville, Premium entered a second team to make the 39-car fields an even 40. To drive it, they welcomed Sorenson, who’d also missed the 500 field with Mike Hillmaan’s open team. 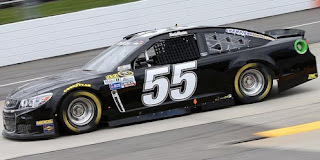 Sorenson finished 37th in Premium’s #55 at Martinsville and 36th at Texas, coming home under power both times. Bristol’s high banks would prove a greater challenge. Sorenson was 38th-fastest of the 40 entrants in Friday’s opening practice and remained 38th in qualifying with a lap of 123.245mph. He was 38th again in Saturday’s opening practice, but fell to the bottom of the chart in Happy Hour. The 40th starting spot in Sunday’s race went to Michael Annett, holder of Premium’s purchased charter, in the #46 Pilot / Flying J Chevrolet. Annett, who blew an engine one-quarter lap into the previous Bristol race last August (LINK), continued to struggle over the weekend, at one point seeing smoke in the driver’s compartment during practice. When the green flag waved, however, another car quickly plummeted behind him. 20th-place starter Dale Earnhardt, Jr.’s electrical system failed at the start, stopping his car dead in its tracks at the start/finish line. 22nd and 24th-place starters Aric Almirola and David Ragan had nowhere to go and slammed into his rear bumper, damaging all three cars. Earnhardt lost two laps in the pits as the crew restarted the ECU and switched ignition boxes, dropping him to 40th. Earnhardt took the wave-around under the first caution on Lap 53, but it wasn’t until Lap 58 that he moved past Sorenson, who had also been lapped on the 16th circuit. David Ragan #23 Dr. Pepper Toyota, damaged in the opening-lap incident with Earnhardt, briefly held the 40th spot amid a number of pit road penalties, but Sorenson retook it on Lap 78 as he went down a second lap. On the 110th circuit, Jeffrey Earnhardt fell behind Sorenson in his #32 Keen Parts / Visone RV Ford, moments before the third caution flew for Kyle Busch’s spin in Turn 2. Again, Sorenson slipped to 40th on the restart, falling four laps down on Lap 119. The next last-place contender was Regan Smith, who around Lap 121 pulled his #7 APC Chevrolet behind the wall after losing the power steering. 3rd-place running Kyle Larson joined Smith in the garage on Lap 148 with a broken track bar mount. Smith returned to the track first on Lap 154, followed by Larson on Lap 188. At that moment, when Matt Kenseth struck the Turn 2 wall and drew the fifth caution, both Smith and Larson were 37 laps in arrears with Smith in 40th. Smith was still running there when Sorenson made his own trip to the garage around Lap 175 with a broken left-front bracket on the suspension. Sorenson, already 28 laps behind at the time, then became the race’s firs retiree. David Ragan’s own bad luck took him out of the race for good on Lap 219 when he lost the engine. Ragan was seven laps behind at the time of the failure. 38th went to Kyle Busch, whose bid at three consecutive Sprint Cup victories was stifled following two hard slams to the Turn 2 wall after tire failures on his #18 M&M’s 75th Anniversary Toyota. 37th went to Regan Smith, whose new power steering couldn’t avert disaster on Lap 492 when he was hooked by Danica Patrick and slammed the outside wall flush with the passenger side. Rounding out the group was Matt Kenseth, whose #20 Dollar General Toyota led 142 of the first 186 laps before he, too cut a tire and pounded the wall. Carl Edwards took the victory over Dale Earnhardt, Jr., who rebounded from his brief stay in 40th place to come home 0.766 seconds back in 2nd. 5th-place Trevor Bayne scored his first top-five finish since his victory in the 2011 Daytona 500 and the first top-five for the team’s flagship #6 since David Ragan’s 4th-place run at Richmond in the fall of that year. Matt DiBenedetto bounced back from a pair of last-place runs in Saturday’s XFINITY race to pick up a career-best 6th, also a team best for BK Racing in its fifth season of operations. Clint Bowyer’s difficult start to the season with HScott Motorsports was salved by an 8th-place run, besting his paltry season-best 18th at Fontana with his first top-ten finish since last fall at Talladega. And defending LASTCAR Cup Champion Landon Cassill led 20 laps - his first since Talladega in the fall of 2014 - and was set for a top-ten finish of his own before a late tangle with Ty Dillon left him 22nd. *This was the first last-place finish for the #55 in a Sprint Cup race since June 1, 2014, when Brian Vickers’ #55 Aaron’s Dream Machine Toyota lost the engine after 73 laps of the FedEx 500 Benefitting Autism Speaks at Dover. *It’s the first last-place run in Cup for the #55 at Bristol since August 21, 2010, when Michael McDowell’s #55 PRIM Motorsports Toyota lost an engine after 16 laps of the Irwin Tools Night Race. *This was Sorenson’s first last-place finish in a Cup race at Bristol since March 25, 2007, when his #41 Target Dodge crashed after 21 laps of the Food City 500. *Sorenson is the first driver to finish last in a Cup race at Bristol due to suspension issues. Matt DiBenedetto picked up the 4th last-place finish of his NASCAR XFINITY Series career in Saturday’s Fitzgerald Glider Kits 300 at the Bristol Motor Speedway when his unsponsored #10 TriStar Motorsports Toyota fell out with a vibration after he completed 4 of 200 laps. This was DiBenedetto’s second last-place finish of 2016, his first since Fontana, two races ago. TriStar has now finished last in four of the previous five XFINITY races at Bristol, and its #10 has finished 40th in all five of its starts in 2016. DiBenedetto did not participate in Friday’s opening practice session, but put up the 27th-best time in Happy Hour. He ranked 23rd-fastest in qualifying later that day, having made the second round with the 21st-fastest time of 122.961 mph. Both he and Texas last-placer Josh Wise, back in RSS Racing’s #93 Chevrolet, did not complete a lap in Qualifying Round 2. Regardless, both outpaced the two drivers sent home: Morgan Shepherd, who missed his third-straight race in his #89 Racing With Jesus Chevrolet, and the Carl Long in the #40 Dodge for Motorsports Business Management. For the first time, heat races would set the grid for Saturday’s 200-lapper, and DiBenedetto’s speed put him 12th on the 20-car grid for Heat 1. Starting last in the race was Mike Harmon in his unsponsored black #74 Dodge. DiBenedetto fell to the rear before the green flag, however, and pulled off the track after three laps. Wise, who also rolled off 12th in Heat 2, also parked after 9 laps of his race, taking the spot from the trailing Derrike Cope in his #70 E-Hydrate at Ingles / To The Point Apparel Chevrolet. This put DiBenedetto and Wise in the 20th and final row for the 200-lap main event with Wise credited with the 40th starting spot. As in Heat Race 1, DiBenedetto took last on the first lap and pulled onto pit road. The leaderboard indicated that he then came out to run one more circuit before he parked for good with four laps in the books. Wise followed after 21 laps, citing transmission issues, securing the 39th spot. 38th went to DiBenedetto’s teammate J.J. Yeley in his identical unsponsored #14 Toyota. 37th was Blake Koch, who ended up with just his third finish outside the Top 20 this season when Kaulig Motorsports’ #11 Leaf Filter Gutter Protection Chevrolet needed to go to the garage with power steering issues. Rounding out the Bottom Five was Mike Harmon, his Dodge 18 laps in arrears. Jeff Green, who scored most of his 86 XFINITY Series last-place finishes in DiBenedetto’s ride, finished 27th, his best finish in the series since September 27, 2014, when he came home 26th at Dover. Green also stayed out to lead Lap 41 during the first caution, the first time he’d paced an XFINITY Series field since July 28, 2012 at Indianapolis. Green was tabbed to drive the #15 Main Gate Enterprises Ford originally entered by Rick Ware Racing, but later sponsored and fielded by B.J. McLeod, who’d placed Todd Peck in the #15 the previous three races. Green finished one spot ahead of McLeod, who finished inside the Top 30 for the sixth time in seven races in 2016. On Sunday, DiBenedetto rolled off 30th in BK Racing’s #83 Cosmo Motors Toyota for the Food City 500. He managed to avoid all the day’s wrecks, got his lap back as the Lucky Dog on Lap 340, and entered the Top 10 in the final laps. In the final two cautions, DiBenedetto got two great restarts, springing him to 8th, then 6th at the checkered flag. It was DiBenedetto’s career-best finish in his 41st start, besting his previous mark of 18th last spring at Talladega. It was BK Racing’s first top-ten finish since Travis Kvapil’s 8th-place run, also at Talladega in the fall of 2012, the team’s first year of operation since acquiring the assets of Team Red Bull. *This was DiBenedetto’s first last-place finish in an XFINITY Series race at Bristol. On July 25, 1965, David Pearson picked up the 1st last-place finish of his NASCAR Grand National Series career in the Volunteer 500 at the Bristol International Speedway when his #6 Southeastern Dodge Dealers 1965 Dodge was involved in a multi-car crash after 8 of 500 laps. The finish occurred in Pearson’s 156th series start. The career of Pearson, “The Silver Fox,” is well-known. Second on the all-time wins list with 105 victories, the soft-spoken driver was already a household name in the mid 1960s. From an owner-driver during his debut in the second Daytona 500 in 1960 through his signing with Ray Fox and, later, Cotton Owens, Pearson had racked up eleven victories in his first five seasons. Though his first three wins came on superspeedways, the next eight came on short tracks like Bristol: half-mile dirt ovals in Myrtle Beach and Greenville-Pickens and paved bullrings like the third-mile Boyd Speedway on Tennessee’s opposite border. He finished the 1964 season 3rd in points, and but for circumstances off the track, would have been a likely contender for 1965. While Ford accepted the changes, Ronney Householder, Chrysler’s Director of Competition, was furious. The new rules would require Chrysler’s factory drivers to run heavy cars with underpowered engines, putting them at a significant disadvantage. When a compromise wasn’t reached by the start of the 1965 Grand National Season, Chrysler boycotted the series, taking its factory drivers with them. This included Richard Petty, who turned his attention to a brief and ill-fated run on the drag racing circuit, and David Pearson. Without the series’ biggest stars and fastest cars, ticket sales dragged through the first part of the 1965 season. Bill France’s gamble that Chevrolet would gain momentum hadn’t panned out, and Ford was on an unprecedented winning streak on the heels of 1961 series champion Ned Jarrett. In May, NASCAR reached a compromise with USAC, whose series rules were more forgiving to Chrysler’s “hemi” in an effort to attract NASCAR drivers. As part of the agreement, Chrysler could run in “hemi” in NASCAR, but only in models where it hadn’t been tested. Though Buck Baker managed this “impossible” feat, jamming a hemi into son Buddy’s Plymouth Fury at Daytona in July, it wasn’t until Bristol later that month that the Chrysler factory teams - and Pearson - returned. Pearson started 12th in the 36-car field. The final starting spot went to independent driver Hollingsworth McMillion, who shortened his name to the much flashier “Worth McMillion.” The Virginian trailed the field early in his #80 1964 Pontiac until trouble broke out in the early laps. On Lap 9, Pearson was racing the Wood Brothers #21 1965 Ford of Marvin Panch for the 5th spot when the two made contact in Turn 3 and crashed. Walking down pit road under caution, Pearson crossed paths with Glen Wood. The two argued, and Wood threw a punch. Pearson was about to respond when crew members intervened. Pearson and Panch occupied the final two spots in the finishing order. The next retiree was Raymond Carter, who was making the next-to-last start of his career in a backup 1964 Dodge for longtime independent Buddy Arrington. Carter’s #62 pulled behind the wall after 32 laps. 33rd went to future pace car driver Elmo Langley, then an owner-driver in his twelfth season on the tour. Langley’s #64 blew a head gasket one lap after Carter’s retirement. Rounding out the Bottom Five was 27-year-old Bobby Allison, who was making just the 12th start of his NASCAR career. It turned out to be the final Grand National start for Allison’s team owner Ed Grady, who fielded his #09 Ford. Richard Petty, who also rejoined the series at Bristol, started outside-pole in his #43 Plymouth and finished 17th with a busted differential. Ned Jarrett went on to win. Pearson went on to run 13 of the 1965 season’s final 21 races, winning on the half-mile dirt track in Columbia, South Carolina and at the Richmond Fairgrounds, then secure his first of three series championships in 1966. Pearson would go on to compete in 574 top-tier NASCAR races and finish last just five more times. Only three of these last-place runs happened on track: the other two were post-race disqualifications for technical infractions in 1968. The 1965 last-place run was also his only one at Bristol, a track where he’d win five times in just 20 starts. *This was the first last-place finish for the #6 in a Grand National Series race since April 11, 1965, when Jim Conway’s 1964 Ford lost the clutch after the opening lap of the Atlanta 500 at the Atlanta International Raceway. *To date, Pearson’s run at Bristol remains the only last-place run by the #6 in a Cup race at that track. In fact, the #6 wouldn’t finish last in Cup again until September 11, 1977 at Richmond, when Rick Newsom’s unsponsored Chevrolet had an oil leak after 112 laps of the Capital City 400. Special thanks to Greg Fielden’s epic book series “Forty Years of Stock Car Racing” for providing the details behind this race. During another 500-mile endurance test under the lights at Texas, the four Open teams found themselves off the lead lap and racing each other for position. At Texas, Blaney remained stellar in qualifying, matching his season-best 7th from the Daytona 500. In fact, Blaney has only started worse than 14th once this season: a 23rd at Atlanta. As in many of those starts, Blaney remained inside the Top 20 for most of the early stages, but just as at Atlanta and Fontana, late-race misfortune knocked him back through the field. On Lap 106, just moments after a scheduled green-flag stop, Blaney was back on pit road again with a vibration in the rear of the car. The stop dropped the #21 off the lead lap, and by race’s end, he’d lost three more. Still, he remained tops among the Open teams - barely - for the fifth time in seven races. Blaney and the Wood Brothers are no strangers to next week’s venue at Bristol. Blaney and the #21 finished 22nd there last fall, the best performance by the Woods at the track since Ken Schrader’s 13th-place showing in 2006. Still, Ricky Rudd’s 4th-place finish in 2005 remains their most recent top-ten finish, and they’ve won at the track once: Elliott Sadler’s surprise triumph in the 2001 Food City 500. One lap and one position behind Blaney came Cole Whitt, who only this week ran without a primary sponsor for the first time in 2016. Just as in many of his starts this year, Whitt fought to stay on the lead lap. Whitt kept race leader Carl Edwards behind him for the competition caution on Lap 30, and he made up a 30.2-second deficit. Whitt was finally lapped on the 61st circuit by Martin Truex, Jr. and lost four more by the time the checkered flag fell. The 30th-place showing was just four spots short of a career-best at the 1.5-mile quad-oval. Whitt’s best finish in four previous Cup starts at Bristol was a 27th in last year’s spring race. Whitt’s new teammate Reed Sorenson returned for his second start of the season in an identically unsponsored #55. Sorenson was among the slowest cars in practice and started shotgun on the field, briefly trading it with Chase Elliott during the green-yellow start. Sorenson retook the spot at the green flag and, as at Martinsville, traded it with Josh Wise for most of the first half. 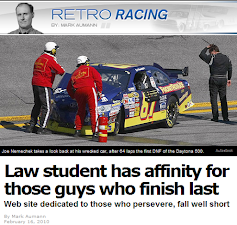 Sorenson went down a lap on the 19th circuit, but lost the Lucky Dog to Jeffery Earnhardt at the competition caution. Sorenson lost 40th to Wise on Lap 36, and when he regained it on Lap 98, he was five circuits behind. He climbed to 39th on Lap 110, then proceeded to outlast several Chartered teams in the final laps. In the end, he passed late-race retirees Greg Biffle, Clint Bowyer, and Brian Vickers to come home four laps behind Earnhardt. Sorenson is set to make his 13th Bristol start and his first in Cup since 2014. His best series finishes at the track are a pair of 15th-place finishes in the night race: one for Chip Ganassi in 2007 and another for Team Red Bull in 2010. Wise finished last in Saturday's race, pulling a weekend sweep between the Sprint Cup and XFINITY Series events. For more, see his LASTCAR.info feature. Wise’s best finish in eight previous Bristol starts is a 23rd in the 2014 spring race, when he finished four laps down in Phil Parsons’ #98 Chevrolet. The five teams which last attempted the Daytona 500, six races ago, were again not on the entry list for Texas. Josh Wise swept both last-place finishes in the Sprint Cup and XFINITY Series races at Texas. Wise accomplished this once more in his career at Bristol in 2012, when he drove for Front Row Motorsports in Cup and The Motorsports Group in XFINITY. On Friday, Wise picked up the 4th last-place finish of his XFINITY Series career in the O’Reilly Auto Parts 300 at the Texas Motor Speedway when his unsponsored #93 RSS Racing Chevrolet fell out with brake issues after he completed 8 of 200 laps. The finish, which came in Wise’s 144th series start, was his first since August 9, 2014, when his unsponsored #46 The Motorsports Group Chevrolet fell out with brake issues after 3 laps of the Zippo 200 at The Glen, 51 races ago. Wise was making just his second XFINITY Series race of the season, following a 39th-place finish in one-off for Motorsports Business Management at Fontana. RSS Racing’s second team, #93, has so far attempted the full season, but has finished under power only twice, most recently a season-best 19th with Dylan Lupton at Phoenix. Wise joined an entry list of 42 competitors which was then pared to 41 following the withdrawal of Morgan Shepherd. With 41 drivers going for 40 spots and the #93 having missed two races, Wise would have to make the field on speed. Wise didn’t participate in the opening practice session, ran 32nd in Happy Hour, and improved further to the 28th spot in qualifying with an average speed of 183.181 mph. Surprisingly, the lone DNQ on the day was all-time last-place leader Jeff Green, whose #10 TriStar Motorsports Toyota missed a spot on speed by three-tenths of a second. It was Green’s first DNQ in the XFINITY Series since last July at Daytona. Starting 40th on Friday was Todd Peck, once again running the former Rick Ware #15 X-treme pH Sports Water Ford he’d been driving since Phoenix. The first caution for Daytona last-placer Ryan Preece’s spin on Lap 2 dropped the #01 G&K Services Chevrolet to last. Soon after the restart, however, Wise pulled behind the wall with brake issues and claimed the last-place finish. 39th went to Carl Long, now without a partner after the indefinite suspension of Motorsports Business Management co-owner Derek White. Long’s #40 Truxx Outfitters Dodge pulled behind the wall with engine trouble while second-year Cup driver Matt DiBenedetto took the helm of his team car, the #13 Chris Kyle Memorial Benefit / Truxx Toyota, finishing 32nd. 38th went to Jeff Green’s TriStar teammate J.J. Yeley in the #14 ZAK “Official Fuel dditive of NASCAR” Toyota, citing clutch issues after 40 laps. Peck pulled off the track 2 circuits later. Rounding out the group was Rick Ware’s #25 Lilly Trucking Chevrolet with which Cody Ware scored his worst finish of the season. 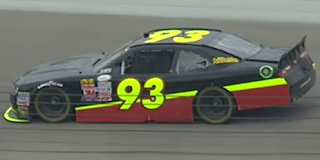 *This is the first last-place finish for the #93 in an XFINITY Series race since June 21, 2014, when Kevin Lepage’s unsponsored #93 JGL Racing Dodge broke a rear gear on the opening lap of the Gardner Denver 200 Fired Up By Johnsonville at Road America. *This is Wise’s first last-place finish in an XFINITY Series race at Texas. *This is the first XFINITY Series last-place finish for RSS Racing. Then on Saturday, Wise picked up the 7th last-place finish of his NASCAR Sprint Cup Series career in the Duck Commander 500 at the Texas Motor Speedway when his #30 CrawfestNB.com Chevrolet was involved in a single car crash that ended his night after 178 of 334 laps. The finish, which came in Wise’s 134th series start, is his first since this spring’s race at Atlanta, five races ago. Wise and The Motorsports Group become the first two-time last-place finishers of the 2016 Cup season. Thanks in part to 39 and 40-car entry lists since the team’s DNQ for the Daytona 500, The Motorsports Group has made every race since. The team had also finished under power in every race but last week’s engine failure at Martinsville and earned a season-best 34th at Phoenix. At Texas, Wise was slowest in both practices, but was 39th in qualifying with an average speed of 184.963 mph. His car also carried sponsorship on the hood for the first time in 2016: an upcoming crawdad festival in New Braunfels, Texas. Starting last for the second consecutive week was Reed Sorenson, once again driving Premium Motorsports’ new unsponsored second team. A lengthy rain delay forced a green-yellow start late Saturday night, during which time Sorenson actually lost the spot to Chase Elliott on Lap 3. Elliott’s #24 NAPA Auto Parts Chevrolet had qualified 4th, but a transmission change after qualifying sent him to the rear for the start. When the green flag finally flew on Lap 5, Elliott disposed of Sorenson, and the #55 was the first to be lapped on Lap 19. Wise, who was running next-to-last for most of the early stages, first took the 40th spot when Sorenson moved by on Lap 36. Eleven circuits later, Wise’s #30 was also the first to lose a second lap to the leaders, then a third on Lap 67. Sorenson retook 40th on Lap 98 as both black Chevrolets continued to gradually lose laps to the leaders. Around Lap 110, during a round of green-flag stops, Wise clipped the commitment cone and was penalized, costing him another lap and retaking 40th from Sorenson. Wise then made contact with the outside wall, went to the garage on Lap 172, and came back out more than 10 laps behind on Lap 191. The damage Wise sustained in his first brush with the wall must have broken something in the right-front, for on Lap 212, the #30 clobbered the Turn 3 wall, ending his night. Finishing 39th was Greg Biffle, whose #16 Kleen Performance Ford slammed the Turn 2 wall. 38th and 37th went to two of the 13 drivers involved in a backstretch pileup on the restart following the Biffle wreck: Clint Bowyer’s lapped #15 Visine Chevrolet and Brian Vickers’ #14 Tax Act Military Files Free Chevrolet were among the 13 drivers involved in a backstretch pileup. Rounding out the Bottom Five was Sorenson, who came home under power, 19 laps down. *This is the first last-place finish for both Wise and the #30 in a Cup race at Texas. 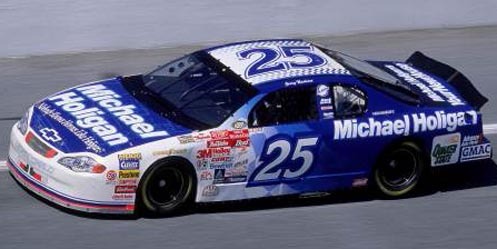 On April 2, 2000, Jerry Nadeau picked up the 3rd last-place finish of his NASCAR Winston Cup Series career in the DirecTV 500 at the Texas Motor Speedway when his #25 MichaelHoligan.com Chevrolet was involved in a multi-car crash, ending his race after 110 of 334 laps. The finish, which came in Nadeau’s 76th series start, was his first since September 5, 1999, when his #36 M&M’s Pontiac crashed after 48 laps of the 50th Annual Pepsi Southern 500 at Darlington, 17 races previous. Nadeau’s brief and tumultuous NASCAR career began in 1995, when he made his Busch Series debut at the tiny Hickory Motor Speedway. At the time of his 21st-place finish in Greg Pollex’s #15 Buss Fuses Ford, the Connecticut driver was also honing his road course skills overseas, turning his background in go-karts toward the Formula Opel European Union Series Championship. By 1997, Nadeau decided to commit to NASCAR full-time, and that year made his Cup debut for Richard Jackson at Michigan, where he finished 36th in the #1 R&L Carriers Pontiac. In 1998, Nadeau signed on with a new team, Elliott-Marino Motorsports. Bill Elliott, at the time in his fourth season as owner-driver of the #94 McDonald’s Ford, co-founded the team with Miami Dolphins quarterback Dan Marino. Nadeau struggled in the dolphin grey and orange #13 FirstPlus Financial Ford, failing to qualify at Las Vegas and Texas with finishes no better than 21st. That June at Sonoma, Nadeau’s first road course start in Cup, he put the #13 outside-pole next to Jeff Gordon. Eager to take the lead from Gordon at the start, Nadeau ran off course in Turn 2 and damaged the track bar, eventually smashing into a dirt embankment and finishing last. Elliott-Marino released Nadeau after the next race in New Hampshire. Nadeau finished the 1998 season driving for Harry Melling, whose #9 Cartoon Network Ford was also struggling. The team began the year with veteran Lake Speed, but the Mississippi native unexpectedly retired after the Loudon race. Nadeau jumped aboard just in time for the next road course at Watkins Glen, where he started 8th and finished a season-best 15th. Nadeau spent just over a year with the Melling team, scoring his first Top 10 with an 8th at Talladega, before he was released once more in the summer of 1999. Once again, Nadeau would relieve another retiring driver - Ernie Irvan, whose second serious crash at Michigan forced him to step away from MB2 Motorsports’ #36 M&M’s Pontiac. But the biggest surprise was still to come. Hendrick Motorsports’ #25 team was struggling to find victory lane. Fan favorite Ken Schrader, who came aboard to relieve the ailing Tim Richmond in 1988, hadn’t won a Cup race since 1991 and left the team in 1996. Ricky Craven signed to drive in 1997, finishing 3rd in a Hendrick sweep of the Daytona 500 podium, but his concussion from a hard crash at Texas lingered for more than a year, ultimately putting him out of the ride in early 1998. Randy LaJoie, then Wally Dallenbach, Jr. came aboard, but both were unable to find consistency with the team. On top of it all, longtime sponsor Budweiser was leaving the team after 1999 to fund a youngster who made his Cup debut that year: Dale Earnhardt, Jr.
Then, seemingly out of nowhere, syndicated home improvement show host Michael Holigan approached Hendrick to sponsor the #25. The one condition? Holigan wanted Nadeau in the car. And so it was. One article nicknamed Nadeau “The Magician” for securing the top-tier ride after so many struggles with four different teams. The first six races did little to sway the skeptics. Nadeau’s dazzling blue-and-white Chevrolet showed speed, never qualifying worse than 22nd, but the tam had yet to come home on the lead lap or finish any better than 19th. Texas, scene of Craven’s injury and Nadeau’s most recent DNQ, was next. While Nadeau lined up 8th for the race, the last starting spot in the 43-car field went to Robert Pressley, whose #77 Jasper Engines & Transmissions Ford had carried him to his best Cup finish at that time, a 3rd in 1998. By Lap 6, Darrell Waltrip, making his final Texas start as part of his “2000 Victory Tour,” had fallen to the rear in his #66 Big K Mart Route 66 Ford. Waltrip had finished last in the inaugural when he was caught up in the Lap 1 pileup. By Lap 12, the 43rd spot belonged to Gary Bradberry, who was making his first start of the season after replacing Rick Mast in the Larry Hedrick-owned #41 Big Daddy’s BBQ Sauce Chevrolet. The first caution of the afternoon came on Lap 18. Scott Pruett, then a rookie in the Cup Series, had started 3rd and taken the lead in Cal Wells’ #32 Tide Ford. After Dale Earnhardt, Jr. slid past, Junior’s DEI teammate Steve Park clipped Pruett while racing for 2nd, sending the #32 sliding into the outside wall. Repairs to the left-rear of the car dropped him two laps down in the 43rd spot, and he started to lose more laps from a likely trip behind the wall on Lap 68. Joining Pruett in the garage was Stacy Compton, whose #9 Kodiak / Cougar Ford for Melling Racing had smacked the Turn 4 wall on Lap 88. Pruett returned to the track before Compton, dropping the #9 to last by Lap 104. Compton was still last when the caution flew again for a multi-car wreck. Running in the middle of the pack, Nadeau was following rookie Dave Blaney’s #93 Amoco Pontiac through Turns 1 and 2 when Blaney washed up the track, forcing Nadeau to back off. Unfortunately, Jeff Gordon, Bill Elliott, and Johnny Benson, Jr. were right behind him, causing a chain reaction that sent Nadeau and Gordon spinning. Nadeau spun backwards into the outside wall while Elliott collided with Gordon, the McDonald’s Ford lifting on two wheels as it rode up on Gordon’s hood. Benson also suffered damage to the right-front of his #10 Lycos.com Pontiac. All the cars involved returned to the race except Nadeau, whose entire rear clip was destroyed in the wreck. When Compton returned to the track, Nadeau took the 43rd spot. Benson ended up 42nd at the finish after tangling with John Andretti down the backstretch on Lap 146. 41st went to Bradberry’s #41, which backed into the Turn 4 wall on Lap 170. 39th went to rookie driver Elliott Sadler. Sadler, tabbed by the Wood Brothers to take over for Michael Waltrip in the #21 Citgo Ford, spun in the grass coming off pit road during the pit stops for Pruett’s crash. Sadler suffered damage tangling with Sterling Marlin on the Lap 120 restart, but returned to the track 113 laps down. Between Bradberry and Sadler in 40th was to Adam Petty, who became the Cup Series’ first fourth-generation racer when he timed his #45 Sprint Chevrolet into the 33rd spot (unfortunately, father Kyle was one of the five drivers who missed the show, including Robby Gordon, Dave Marcis, Wally Dallenbach, Jr., and Todd Bodine). The youngest Petty managed to avoid all seven wrecks that started the race, but the engine let go after 215 circuits. Petty was set to run a handful more races in 2000, but Texas proved to be his only Cup start. Just over a month later, Petty tragically lost his life in a Busch Series practice crash at Loudon. He was only 19. Dale Earnhardt, Jr. went on to win the DirecTV 500 for his first Cup Series victory. He’d claimed his first Busch Series win there just two years earlier. After the Texas race, Nadeau began to improve. He scored three-straight Top 20 finishes at Martinsville, Talladega, and Fontana, then broke through at Charlotte in May. He was one of the biggest stories of The Winston All-Star Race, winning the 25-lap No Bull Sprint to transfer into the main event, where he came home 4th. The following week in the 600, Nadeau’s patriotic paint scheme honoring the Coast Guard paced the field for 115 of 400 laps and was in position to win a rain-shortened victory. But when the rain stopped, the engine let go, leaving him a disappointing 38th. Coming into the season finale at Atlanta, Nadeau had two top-five finishes and four Top Tens with a season-best 4th at Loudon and again in the Brickyard 400. He started 2nd in the Atlanta race - again next to Jeff Gordon - and this time sealed the deal. Nadeau paced the NAPA 500 field for 155 of 325 laps, passed Ward Burton on a late-race restart, and held off Dale Earnhardt in the final points race the #3 Goodwrench Chevrolet would finish under power. In the two seasons that followed, “The Fury From Danbury” continued to show flashes of brilliance with Hendrick. Atlanta remained one of his best venues - he was leading in the final laps of both 2001 races before Kevin Harvick’s rally in the spring and an empty fuel tank in the fall dropped him back. He also continued to run strong on the road courses, finishing in the Top Ten at Sonoma in 2000 and Watkins Glen in 2001. But after the spring race at Richmond in 2002, one week after new teammate Jimmie Johnson scored his inaugural victory at Fontana, Nadeau was released by Hendrick, replaced by Joe Nemechek. No one knew at the time that Richmond would see the end of Nadeau’s career just one year later. Once again, Nadeau was called as a relief driver, this time for Johnny Benson, Jr. at Charlotte, reuniting him with MB2 Motorsports for the first time since 1999. At Sonoma, he was brought in by Petty Enterprises to replace Buckshot Jones on the road course. That race, the Dodge / Save Mart 350, came to symbolize Nadeau’s career. The #44 Georgia-Pacific / Brawny Dodge remained mid-pack for much of the day, the left-front fender caved in. After a spin on Lap 68, the team knew they had to parlay pit strategy to get the best run they could. When the final caution flew on Lap 85, Nadeau stayed out with a half-dozen others, suddenly placing him 2nd behind his former team owner Bill Elliott. Three laps later, Nadeau passed Elliott and zipped to a lead of several seconds. Ricky Rudd and Tony Stewart, both on fresh tires, clawed their way through the others who stayed out, but it seemed neither would catch Nadeau in time. Then, coming to the white flag, Nadeau’s rear gear seized up in Turn 11, and the #44 stopped, handing the lead and the win to Rudd. In 2003, Nadeau rejoined MB2 yet again in the team that was once the #36 M&M’s machine of Ken Schrader. Schrader and M&M’s left at the end of the year, and the U.S. Army signed with the team, renumbering it #01 as part of the “Army of One” campaign. When the series returned to Texas, the team had started to gel, starting 5th and finishing 4th. Nadeau also continued to show a flair for the dramatic, pulling a 360 spin out of 2nd at Darlington without hitting the wall or another car. Nadeau came to Richmond just 34th in points, but in practice, disaster struck. The #01 spun in Turn 1 and slammed the unprotected concrete wall driver’s side first. He survived, but only just. The serious head, lung, and rib injuries he suffered put an abrupt end to his driving career. Today, Nadeau is involved in the B.R.A.K.E.S. program in North Carolina, and has been a mentor to new racers, including current Sprint Cup rookie Jeffrey Earnhardt. *This was the first last-place finish for the #25 in a Cup Series race since November 2, 1997, when Ricky Craven’s #25 Budweiser Chevrolet crashed after 39 laps of the Dura Lube 500 presented by K-Mart at the Phoenix International Raceway. *Neither Nadeau nor the #25 had ever before finished last in a Cup race at Texas Motor Speedway. After four consecutive races with the same three Open teams, the preliminary entry list for Martinsville showed exactly 40 cars, meaning the short track would host just the second full field of 2016. When the dust settled, one member remained on the lead lap while the other three fought to keep pace. 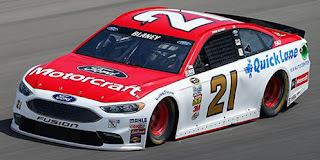 Top of the class for the fourth time in five races was the Wood Brothers, whose driver Ryan Blaney earned the team its sixth 19th-place finish in 110 Martinsville starts. For much of the weekend, the statistic seemed like it was going to be even more impressive. He was 7th-fastest in the opening practice, 12th in the second, 10th in Happy Hour, and locked-up the 12th starting spot for Sunday’s race. Blaney raced door-to-door with Chase Elliott in the early laps and remained between 10th and 15th for most of the afternoon, keeping all the fenders on his Ford. Blaney was one of the many takers to pit when Jamie McMurray’s spin drew the final yellow with 15 laps remaining, but a penalty for the crew jumping over the wall too soon sent him to the tail end of the lead lap. He remained in that position at the finish, but still as the top rookie in the field, one lap ahead of 20th-place Elliott. Next week’s race at Texas has always been on the Wood Brothers’ schedule, even as a part-time team. It was here that Trevor Bayne broke through with an impressive 17th-place finish in the fall of 2010, setting the stage for his Daytona 500 triumph. But Blaney has yet to share the same results. In his last two Texas tarts, he’s finished 42nd and 43rd, the result of an early engine failure and crash, respectively. In fact, the Woods haven’t finished inside the Top 10 since - you guessed it - 2005, when Ricky Rudd came home 8th. Martinsville looked to be the first weekend where Premium Motorsports did not have a sponsor for its flagship #98. However, by race morning, Whitt’s black Chevrolet from practice again had logos from RTIC Coolers, the sponsor which funded the team’s Daytona 500 effort. Unlike the longer tracks on the circuit, it was too difficult for Whitt to fight to stay on the lead lap. The battle instead became to remain just one lap down, which Whitt managed for much of the race’s first half. As the intensity picked up, however, Whitt started to slide back through the rankings, eventually ending up five circuits back at the checkered flag. Still, he remained second among this week’s Open teams and finished ahead of eight Chartered drivers, including Casey Mears, Ricky Stenhouse, Jr., Denny Hamlin, and last-place finisher Aric Almirola (LINK). The 30th-place run is also Whitt’s second-best performance of the season behind his 26th-plac showing two weeks ago at Fontana. Next Saturday at Texas, Whitt is poised to make his fifth career Cup start at Texas, where his best finish was a 26th in the fall of 2014. After the team mentioned it briefly over the offseason, Premium Motorsports debuted a second team at Martinsville with veteran Reed Sorenson behind the wheel. According to the preliminary entry list, Sorenson’s car was to be numbered 49 in a callback to team owner Jay Robinson’s XFINITY and Truck Series entries, but by Friday, it carried a bold white 55 from now-defunct Michael Waltrip Racing. Sorenson’s first eight laps in the #55 during Friday’s practice ranked him ahead of three Chartered drivers: Joey Gase, Regan Smith, and Michael Annett. Despite not taking a lap in qualifying, Sorenson also outpaced Gase and Trevor Bayne in Happy Hour. Sorenson had worked this magic before - in qualifying for the 2012 Martinsville race, when driving for Stacy Compton’s Turn One Racing, Sorenson ranked fifth of eleven “go-or-go-homers." The race proved to be a struggle. Sorenson was the second car to be lapped following Dale Earnhardt, Jr.’s spin and he would trade the 40th spot with Josh Wise for the first half of the race. In the end, Sorenson came home with the car 10 laps down - the same lap as Joey Gase’s Chartered #32 - and ahead of The Motorsports Group and Wise. Premium and Sorenson will return again on this week’s Texas entry list, keeping the field at 40. Sorenson has made 13 starts at the Fort Worth track with a best finish of 13th in his very first start there, back when he drove for Chip Ganassi Racing in 2006. For the third time in 2016, Josh Wise and The Motorsports Group finished last among the four Open teams - but, unlike Atlanta, did not come home last overall. Wise showed some moderate speed in Friday’s first practice, outpacing Whitt and Sorenson in the 33rd spot, remained 33rd in the second session, and held 35th in Happy Hour. Qualifying, which only earned him 39th in a field of 40, proved to be his slowest session overall. In the race, he traded the 40th spot with Reed Sorenson’s #55 and was often booted to the high lane by faster cars. On Lap 313, Wise’s unsponsored Chevrolet, then nine laps down, was nudged to the high side of Turn 2 by Martin Truex, Jr. Wise maintained control and avoided contact with the wall, but NASCAR still threw the caution flag, thus giving Dale Earnhardt, Jr. his lap back. On Lap 337, FOX’s cameras caught Wise slowing on the backstretch, then making the hard left turn into the garage area. Reports of electrical issues were followed by the official results showing engine trouble as the official cause. Wise has eight starts in next week’s race at Texas with a best finish of 30th driving Front Row Motorsports’ #35 MDS Transport Ford in the spring of 2013. While none of the five Daytona 500 teams showed up at Martinsville, at least one will later this month. On March 28, it was announced that Ryan Ellis will drive the non-chartered #93 BK Racing entry at Richmond on April 24. Ellis, who made his Cup debut last fall at Phoenix, is expected to run a number of races this season with returning sponsor ScienceLogic. 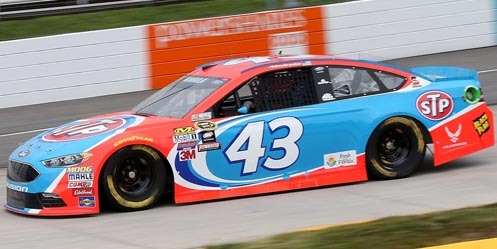 Aric Almirola picked up the 7th last-place finish of his NASCAR Sprint Cup Series career in Sunday’s STP 500 at the Martinsville Speedway when his #43 STP Ford fell out with engine problems after he completed 206 of 500 laps. The finish, Almirola’s first of the year, came in his 185th series start. It was his first in a Sprint Cup race since last fall at Loudon, 14 races ago. The crash that gave Almirola the last-place run at Loudon was one of just two DNFs for the #43 team in 2015. Though they did not win a race, the team racked up three Top Fives and six Top Tens on the way to a 17th-place showing in points. In four seasons with Richard Petty Motorsports, Almirola has never once finished outside the Top 20 in the driver standings. Coming into the Martinsville race, Almirola had yet to finish better than a 12th in the Daytona 500, but had not run worse than a 24th at Las Vegas, keeping him a solid 13th in the standings with an unofficial spot in the Chase. Next on the schedule was Sunday’s race at Martinsville, a track where the driver had seen both highs and lows. He finished 4th in the fall of 2012, led 53 laps in the fall of 2008, but in his 2007 debut at the track Almirola finished last with electrical issues on DEI’s #01 U.S. Army Chevrolet. With STP as the title sponsor of the Martinsville event, Almirola would again drive a florescent red and Petty Blue Ford for the race. This year’s scheme resembled the cars the Pettys fielded in STP’s final years as primary sponsor in the late 1990s, including John Andretti’s Pontiac that secured Petty Enterprises its final victory in 1999. Amidst the STP-sponsored fervor for the Martinsville race, there was also a near disaster in Petty’s hometown of Level Cross. On Saturday, fire broke out at the Richard Petty Museum, but was contained before there were any injuries or severe damage. Meanwhile, Almirola had timed in 21st in Friday’s opening practice session and secured the 20th starting spot with a speed of 96.244 mph. He remained 20th in Saturday’s second practice session, but was just 27th in Happy Hour. For the first time since the season-opening Daytona 500, 40 cars showed up to fill the 40-car starting field. Joining the usual cast of characters was a second entry from Premium Motorsports, a black #55 Chevrolet driven by Reed Sorenson. Sorenson, whose car carried old door and roof numbers from Michael Waltrip Racing, didn’t turn a lap in qualifying, securing him the final starting spot in his first Cup start since another turn for Premium last October at Kansas. On race day, Sorenson held the 40th spot for less than a lap before he got around Josh Wise in The Motorsports Group’s unsponsored #30 Chevrolet. On Lap 5, the race for 20th place between Dale Earnhardt, Jr. and David Ragan resulted in contact, sending Earnhardt’s #88 Nationwide Chevrolet spinning up the track with a flat left-rear tire. While the spin cost Earnhardt a lap that he would not get back for another 304 circuits, he did manage to claw his way out of 40th on Lap 42, when he caught and passed Sorenson’s #55. Sorenson lost a second lap around the 58th circuit, then moved past Josh Wise on Lap 77. Wise lost a third lap in the process, but moved past Sorenson again by the time the second caution flew for Michael Annett’s spin on Lap 92. Wise again retook it under the caution for Ricky Stenhouse, Jr.’s spin on Lap 139 and was five circuits behind by Lap 176. It appeared that the two black Chevrolets would wage war for the rest of the afternoon until a much more brightly painted car began to struggle. Through the first half of the race, Almirola was struggling to keep pace with the leaders and quickly lost two laps of his own. On Lap 187, he slowed going down the backstretch with the engine sounding down a cylinder. He pulled into the pits, complaining of a possible ignition problem, and soon took last from Wise on Lap 189. Almirola returned to competition on Lap 195, but the engine problem only worsened, the car reporting on only five cylinders. The Petty team vowed to keep the #43 out there until the engine blew, but 11 laps down and slowing, they soon had to pull the car off the track. Almirola pulled into the garage a final time on Lap 222, just as another wreck drew Caution #4. Denny Hamlin was running 5th when he wheel-hoped his #11 FedEx Express Toyota going into Turn 1, sending his car sliding and slamming into the outside wall. Hamlin was uninjured, but the right side of his Toyota was totaled, putting an abrupt end to his afternoon. The crash left him just 15 laps ahead of Almirola in the final standings. If the engine on the #43 held out long enough to drop Hamlin to last, Sunday would’ve marked the first time the #11 finished last in a Cup race at Martinsville since May 21, 1950, when Bob Apperson’s 1949 Oldsmobile blew an engine in the second-ever Grand National race on the half-mile track. Instead, Hamlin wound up 39th. Finishing 38th was Wise, who pulled behind the wall on Lap 337 citing engine problems. 24 laps earlier, Wise was routed out of the groove by Martin Truex, Jr., and though he avoided contact with the wall, the fifth caution of the day was thrown. Curiously, it was this caution that gave back Earnhardt, Jr. his lap. 37th went to Sorenson, who lost fifteen laps but finished under power in a car without any clear damage. Rounding out the group in 36th was Joey Gase, who made his first Cup start at Martinsville in Go FAS Racing’s #32 Donate Life Virginia Ford. Gase himself avoided a wreck in the final stages, saving his car from a four-wheel drift down the backstretch. *This was the first last-place finish for the #43 at Martinsville since April 1, 2007, when Bobby Labonte’s Cheerios / Betty Crocker Dodge finished under power, but 235 laps down, in the Goody’s Cool Orange 400.